Michael Dougherty Dentistry was founded on the premise that optimal dental care begins with dental education about preventative measures, procedures to maintain dental health, and technologies that prevent dental problems. 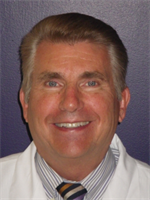 Dr. Michael Dougherty realized early in his career that there is a strong relationship between dental health and the well-being of his patients, inside and out. The treatments used to keep patients in the best health include proven methods learned from decades of having happy and healthy patients, a trustworthy doctor and staff, and the application of the latest in dental technologies and materials. One thing that separates Dr. Dougherty from every other dentist in the area is his technique that minimizes patients’ anxiety and fears. In order to avoid a "threatening" environment, his technique of treating patients on a dental "table" rather than a dental chair mimics comfortable home furniture like couches and beds and helps to put a patient’s mind at ease. Less Radiation: Digital dental radiographs reduce radiation exposure by 75%! 2D and 3D radiographs are offered providing an increased amount of information about the health of the mouth and surrounding structures. Portability: A digital patient record allows you to view your record, ledger, and treatment plan, including photos and radiographs online! Pain Control: Finger-positioned numbing is carefully controlled by a computer chip for pain free injections! Headache Treatment: The NTI, a simple device that has been approved by the FDA, relieves migraines, tension headaches and other kinds of headaches caused by the bite. Wearing this small device over your two front teeth at night will reduce intensity of jaw clenching during sleep and thereby remove or, at minimum, reduce the intensity of tension and sinus headaches. Invisalign: Tooth alignment without braces for optimal health and appearance. How Gum Disease affects Heart Disease, Diabetes, Pregnancy and more!!! Improved Resistance to Gum Disease: A low-dose pill taken twice a day improves your resistance to periodontal diseases. Improving resistance is very important for gum inflammation due to genetic causes of periodontal disease, for smokers and people with diabetes, and initial treatment of bleeding gums. Non-Surgical Treatments of Gum Disease: Locally applied antibiotics that are time-released attack gum disease at its cause: the bacteria in the pocket at the base of the teeth. Bio-compatible Porcelain Crowns and Bridges: We use porcelain/zerconia products for crowns. Zerconia is as strong as metal. When covered by porcelain the crown becomes indistinguishable with natural teeth. Implants: Pure titanium root replacements are used to anchor new crowns, bridges, and dentures. Snore-guards: The cessation of snoring now is possible with a new generation of appliances that can be custom-fitted and adjusted to your own airway’s demands. Flowable Resin Restorations: Flowable Resin Restorations are minimally invasive repairs and are indicated for teeth where decay has begun but has not yet penetrated the enamel.